Melbourne, Australia has become my second home. Known for its café culture, four seasons in a day and city of all things sport, this special place has a lot to offer. In the city, there’s the hubbub of business, culture, life, eateries, endless laneways and riverfront activities. Just a short tram ride away gets you the seaside feel of the Docklands, Chapel Street’s boutique shopping and the drool-worthy dessert shop delights of St. Kilda’s Ackland Street. However, there’s a world of adventure beyond Melbourne’s CBD. In only a short amount of time, all sorts of modes of transport take you to exciting destinations around Victoria. Within a day you can dip your toes in the sand of beautiful beaches, explore the Great Ocean Road, eat fish and chips near the Little Penguins of Phillip Island or get up close and personal with native wildlife at Healesville Sanctuary. Be it beach or adventure, koala cuddles or penguin kisses, seaside retreats or gold mining treasures, restaurants or road trips or all of the above- Melbourne’s surrounds have you covered. 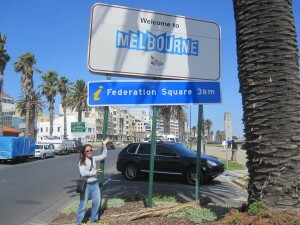 Adventures await in Melbourne. A short trip by train or two-hour journey by car finds you in Ballarat. 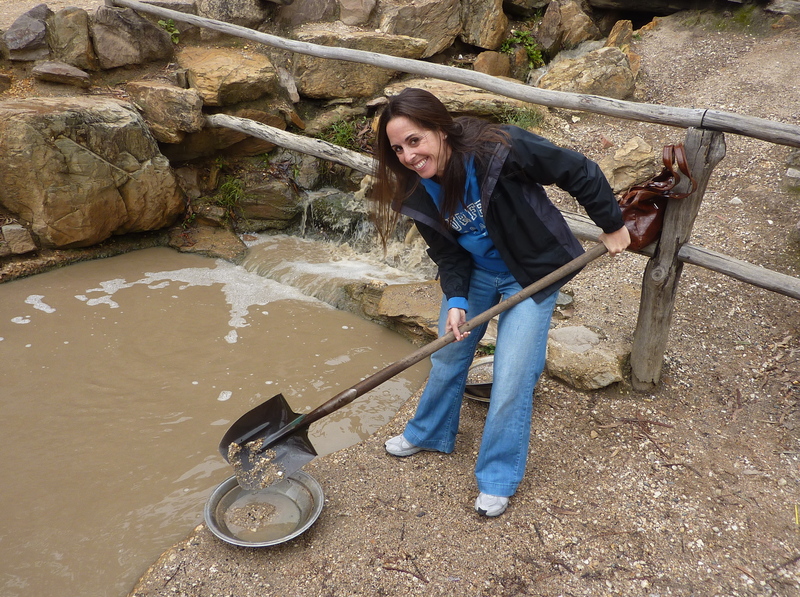 Sovereign Hill, Ballarat’s interactive outdoor museum appeals to visitors of all ages. 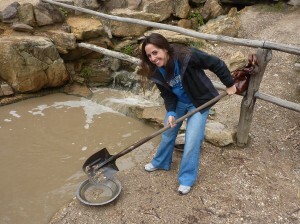 Pan for gold, dip a candle, visit the blacksmith and spend your day reliving the city’s gold rush period. There are underground tours, hands-on experiences and a gem museum that adds extra sparkle to the trip. Outdoor enthusiasts will enjoy Mt. Dandenong. Less than an hour’s car ride outside of the city sit quaint mountain towns, hiking trails, fresh mountain air and artistry unlike any other. You can hike up the Kokoda Track Memorial Walk’s thousand steps to happily earn sweet treats in one of the many adorable cafes. Areas of Sassafrass and Olinda are filled with cafes (my favourite: Miss Marple’s Tea Room) lolly shops, toy shops, tea shops and more that delight your fancy. Artists, dreamers, believers, creatives and naturalists can wile away the hours at the William Rickets Sanctuary. 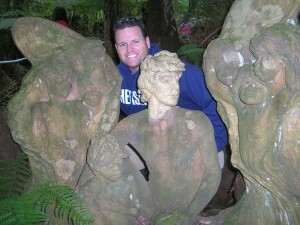 Meander through the trees to find incredible carvings and artistry all made by one man. Revering native Aboriginal culture and believing strongly in the lives, stories and message of its people, William Rickets creates unimaginable artwork through tree sculpting. Both the poetry and design exude the magic, trust, wonder, reverence and beauty that is nature. Melbourne’s Yarra River flows through the center of the city. Festivals, fireworks and fun happen along the water daily. Searching for a greater view, that specific scent, picturesque coastline, sailboat sightings or just an expedition all your own-Melbourne has that, too. A quick ferry ride away lies the charming seaside town of Williamstown. With its laid back vibe, quaint boutiques, quirky cafes and ice cream shoppes, Williamstown offers a perfect retreat from the buzz of the city. 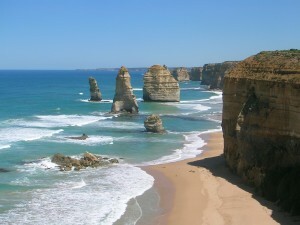 Explorers for a day or a week can experience the rush of life alongside the Great Ocean Road. Deliriously daunting cliffside views halt drivers in their tracks, forcing a stop, look and photo session at each of its thousand twists and turns. Go for a day, stay for a night or ride all the way to Adelaide-no matter the distance, the Great Ocean Road doesn’t disappoint. Gorgeous beaches line the roadside as seaside towns invite you to taste their splendid fish and chips or take part in their endless outdoor activities. 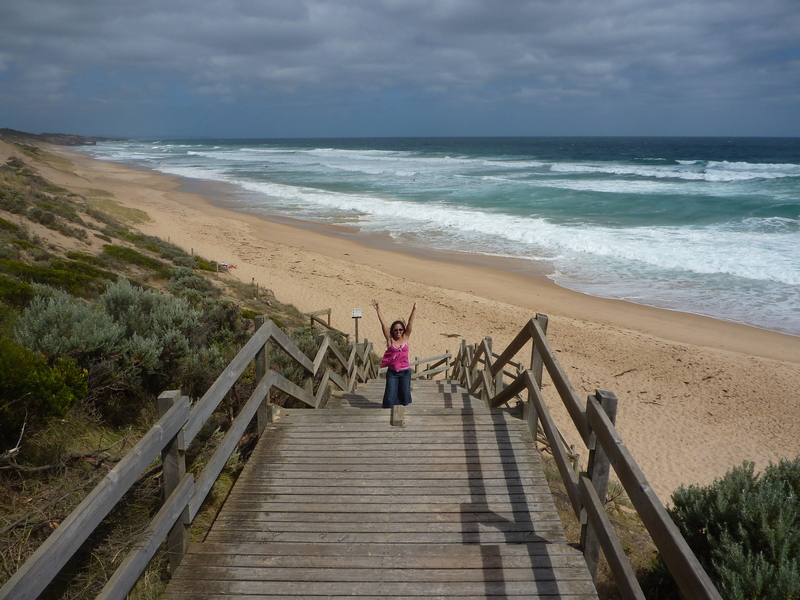 If you’re visiting and missing the roar of the ocean, Melbourne’s beaches are for you. Whichever direction you choose to head, there are waves just waiting to wash over wiggling, happy sand-laden toes. Visit Portsea and Sorrento on the Mornington Peninsula to take in the main streets of the towns while hiking down to local beaches to watch surfers find the sweet spots on the many waves. Want a fun train trip and colourful backdrop to stunning white capped waves, hit Brighton for the day where the iconic Beach Boxes are just as much the draw as the sun and the sea. Looking to add a little wildlife adventure to your day on the sand? Take the two-hour drive to Phillip Island to experience the fish and chips, endless scenic views and the Little Penguin Parade. Channel your inner penguin as you wait patiently for some of the world’s cutest creatures to pop out of the water at dusk and waddle their way past your camera lens and back to their burrows for their evening slumber. Whether you’re in it for the wine, cheese, or kangaroo cuddles, the Yarra Valley is for you. Filled with lush eye-catching scenery, wineries by the dozen and cafes galore, this bucolic area lies a short distance from the hustle and bustle of one of Australia’s busy cities. 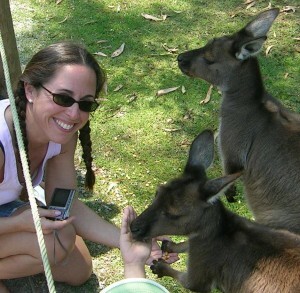 If you’re interested in getting up close and personal to native wildlife, spend a day at Healesville Sanctuary. This interactive nature sanctuary is home to heaps of Australian wildlife. Whether you fancy feeding a wallaby, chatting with a kangaroo, counting the quills of an echidna or just relishing time spent with the friendly animals; a day at Healesville will put a smile on the faces of guests both young and old. For more of Stacey’s musings visit her website.